During an early morning game drive in the Serengeti, we encountered this cheetah out in search of a mate. 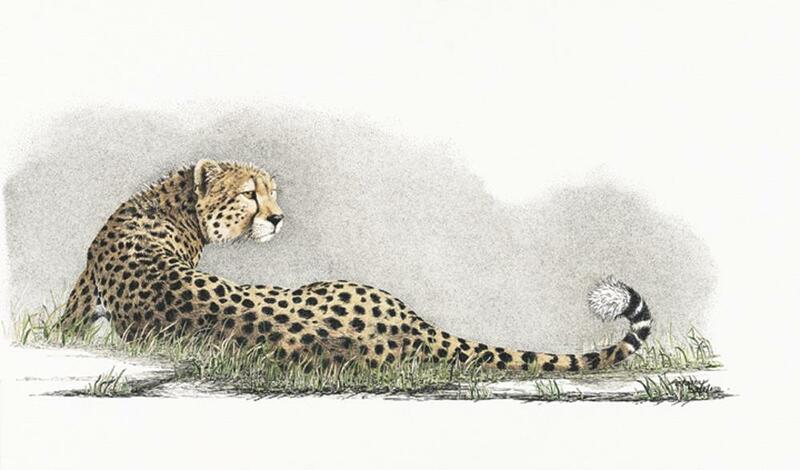 As she marked her way up and down termite mounds, she continuously emitted the distinctive cheetah “Chirp”, sending out her invitation to any available suitors in the area. At each pause the rising sun glowed through her luminous eyes.